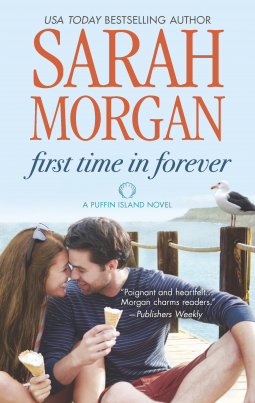 Sarah Morgan kicks off her new Puffin Island Series with “First Time In Forever” set in the beautiful locales of Maine. And the story is classy in its simplicity, painful in its past turmoil, passionate in its new explorations and just purely beautiful in its narration. Emily escapes to Puffin Island along with her niece Juliet Fox (Lizzie), when she’s given the mantle of guardianship after her stepsister dies in an accident. City bred, fighting past fears of guilt and death, Emily is placed on a precarious precipice of taking care of a little girl she has never met before. Shutting herself off to love and with the support of her two best friends Brittany and Skylar, Emily is hiding on Puffin Island, trying to protect her niece from the paparazzi and learn how to be a parent. Pulitzer award winner Ryan comes home to Puffin Island, leaving behind the gory days of maritime reporting and the glory days of being a famous world-class journalist. Raising toddler siblings after his parents’ death, he knows very well the responsibilities of parenting and the many fears that come with those responsibilities and truly understands the fears that Emily is facing. Meeting with Emily brings to the surface what Ryan’s been missing in his life and wants to take Emily into his folds of love and protection. Sarah Morgan weaves a really emotional story of love and support, fears and insecurities, warmth and protection that Puffin Island gives freely to its residents. The insightful conversations between Ryan and his Grandmother are beautifully placed as him romancing and helping Emily face her fears. Emily is one beaten but courageous aunt wanting to protect her niece from all the bad in the world, even if she has to overcome her past fears. Sarah’s narration is brilliant and you can’t but help inexplicably be drawn into the lives of Ryan and Emily. The flow of the story is smooth as silk, and the introduction of characters at various strategic curves in the story is perfect. Laced with wit, filled with pain, supported with unconditional love and with a hint of more romance walking the beaches of Puffin Island, “First Time In Forever” fills you with hope and faith that good exists with the bad, relationships can be built through hearts, and love and support does exist on unconditionally. 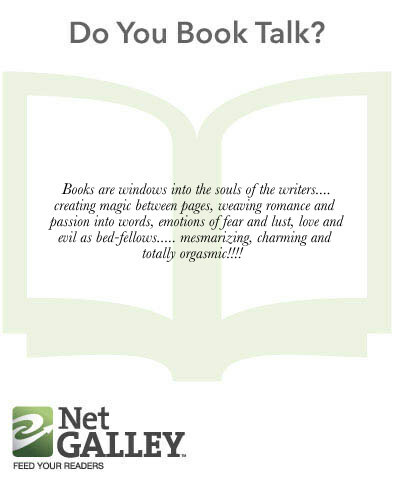 Received an ARC from Harlequin via NetGalley for an honest review.